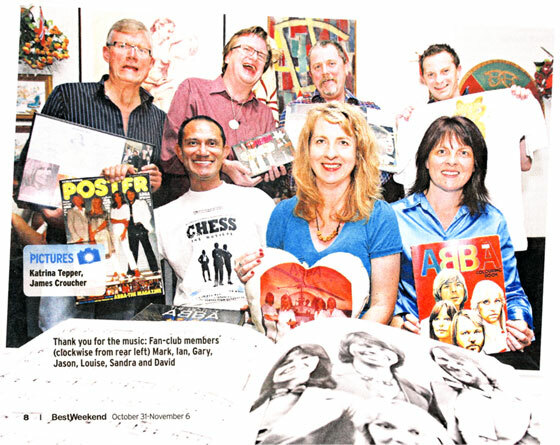 For a few years Canberra community radio station 2XX has hosted a weekly ABBA radio show, GimmeGimmeGimme – There’s more to ABBA than you think. Last week I tuned in to listen online for the first time. It was lot of fun! The theme for this show was “Pick on ABBA”, playing some of those less classic moments in the ABBA catalogue. After a call out to me and ABBA World by Luke, one of the hosts (and an old friend), I rang to say hi and before I knew it I was on air, talking about the website and my recent trip to New York for Kristina. Tuning in might become a regular feature of my Sunday afternoons. GimmeGimmeGimme is on every Sunday between 5-6 pm Australian Eastern Time (06.00 GMT). Tune in to 2XX fm 98.3 in Canberra or listen online here. On September 23 it was announced that ABBA is among the nominees for induction to the Rock and Roll Hall of Fame in 2010. ABBA has been nominated once before, in 2003. Artists are eligible for nomination 25 years after their first record release, which made ABBA eligible since 1997. Those who see it as an honour that ABBA is even considered. ABBA won very few awards during its time together, so to be recognised now by the music industry is honourable. Those who think that ABBA don’t need this sort of recognition, that phenomenal record sales and enduring popularity are reward enough, and that ABBA isn’t “rock and roll” enough to be part of this hall of fame. There is a subset of the first group that sees induction as the opportunity for an “ABBA reunion”, assuming that ABBA will only be inducted if all four turn up and perform at the traditional jam session that ends the induction ceremony. But not all inductees are present for induction. Perhaps most famously Paul McCartney was a no-show when The Beatles were inducted in 1988. Should ABBA be inducted in the Rock and Roll Hall of Fame? It certainly wouldn’t hurt the band’s credibility. But at the same time it doesn’t really matter that they’re not. Fans are invited to comment on the nominees here.